The Nissin Sensui is a Czech nymphing rod. I'm not sure the marketing department at Nissin knows that yet. They see it as a light weight, portable rod suitable for anything from trout and crucian carp down to chubs and even tanago. It is light. It is portable. You really can use it in a wide variety of fishing situations. Personally, I wouldn't use it for tanago but I would (and will) use it for Czech nymphing. I don't have a rod in stock that is better suited to fishing heavy nymphs in knee deep to waist deep water on a short, tight line. Despite the similarities with the Daiwa Kiyose SF rods I already stock, I know some of my customers will prefer the Nissin Sensui. That's not the only thing going for it, though. I think this is going to be a dynamite rod for Czech nymphing. For quite some time, I have recommended the Daiwa Kiyose SF series as the best rod for fishing heavy nymphs. The Nissin Sensui 330 may take the crown instead. The Kiyose 33SF is a 33 penny rod. The Nissin is a 36 penny rod. It's also rated for a heavier tippet. 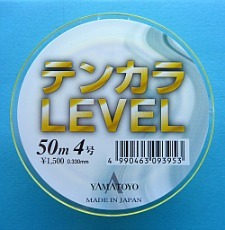 Daiwa recommends 5X tippet for the Kiyose. Nissin recommends 4X for the Sensui. You might not want to use this rod for micro fishing, but for guiding a tungsten bead head nymph around the rocks, hooking and fighting the bulls and 'bows and browns that live there, this rod may be the best. Don't just think Czech nymphs, though. 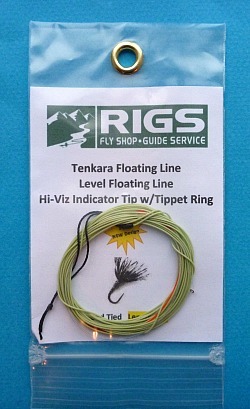 Think hoppers, and bass bugs, and sculpins and any big or heavy or wind resistant fly that just doesn't cast well with a soft-tipped tenkara rod. And of course, for the growing number of true keiryu afficianados who plumb the depths with split shot and a live nymph taken from under a rock on the stream you're fishing (or a meal worm or a salmon egg), this rod can handle the shot required for fishing deep, fast runs. 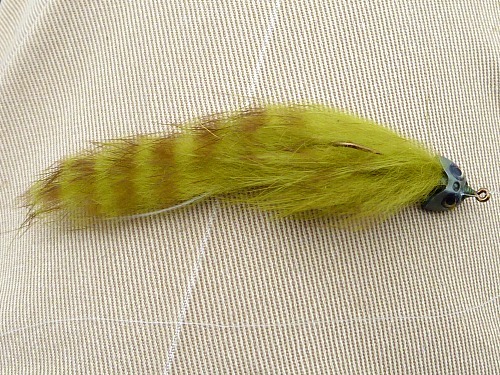 I haven't caught any big trout Czech nymphing with it yet, but I can say that it does quite nicely with smallmouth bass. I am sure it will do quite nicely with largemouths as well. 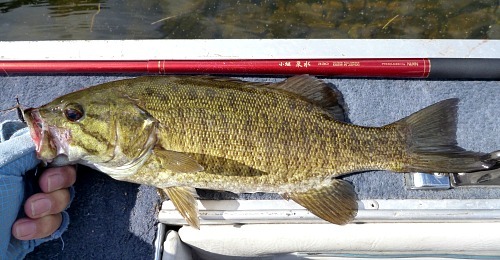 I've had several people ask me for a good rod for kayak fishing for bass - whether largemouths in ponds or smallmouths in rivers. This rod will fill that bill pretty well. 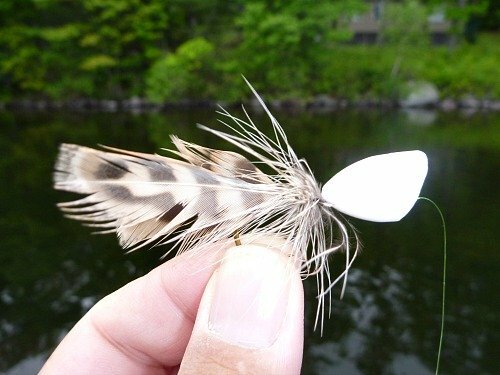 It has the muscle to cast a larger, wind resistant fly like a bass bug, large Killer Bugger or a sculpin bunny. It also has the muscle to keep a largemouth from running back under a downed tree or a smallmouth from getting into faster current. I don't choose rods by their color, but if you're thinking of getting this rod, you'd better like red. Of the nine sections in the Nissin Sensui 330, seven are red. There are gold accents at the end of the grip and at the end of each red section. It's really a pretty nice red, but it's really red. As with all the other keiryu rods I've seen, the grip is just the last blank section, flared a bit to make a larger diameter for easy gripping. The grip itself is covered by a rough coating that is an excellent nonskid finish. Having your hand right on the blank provides unmatched sensitivity. You won't miss the cork and you won't want to use tennis grip wrap, both of which deaden the feel. Hi-vis line is fine, as are yarn markers, but the difference between a rock and a fish is told only by feel. The grip screw cap is plastic. 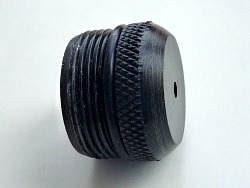 It is knurled for easy gripping and beveled for comfortable holding. There is a rubber O ring to keep it secure and a ventilation hole to help dry out the rod. I'd still recommend taking the rod apart at the end of the day so it can dry thoroughly. I know of tenkara rods, top name and not so top name, that have had the finish ruined by putting them away wet. 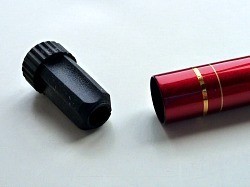 The tip plug is rubber with aggressive fluting - a feature found on many Nissin rods. This makes the plug extremely secure. It's not going to fall out when you least expect it - which I've had happen with rods of several manufacturers. It also allows you to insert the tip plug with the line still attached. 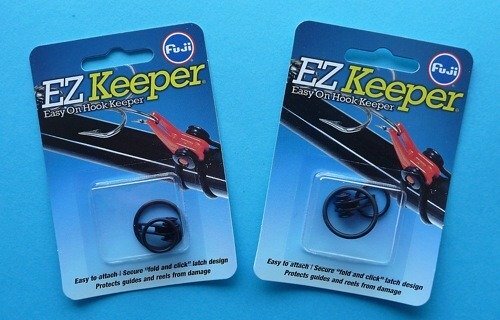 Fuji EZ Keepers will fit on this rod, so keeping the line attached when the rod is collapsed is very practical and something you'll do often. The collapsed length is 17 3/4" - that's about 2" longer than the Kiyose but still significantly shorter than most tenkara rods. It may not fit in small daypacks, but it does fit completely within the BW Sports backpack. It also fits in the Small Rod Cases. The rod does not fit in the Ebira K, though, which was specifically designed for the Kiyotaki and Kiyose rods. If the Sensui sells really well, maybe there'll be an Ebira S in the future. The longer collapsed length means there are fewer sections, which in turn means fewer joints (where there are two thicknesses of tubing) and slightly less overall weight. Without the tip plug the rod weighs under two ounces and feels quite light in the hand. The Nissin Sensui comes in various lengths: 270, 300, 330, 360 and 390. At this time I have the 330 in stock but I can get the other lengths by special order if Nissin has them in stock. Domestic shipping is via USPS Priority mail (2-3 day delivery). The $8 charge is automatically added to each order. International shipping is via USPS International First Class mail (2-5 week delivery). Additional postage is required but is not added automatically. Please click on the button below to add international postage. Postage is based on weight, so please add postage for the largest or heaviest item. What a great Rod - it's Beautiful! The fit and finish is superb. I love Red, so it's a perfect fit for me. You are right, of course, I DO NOT miss the cork - one bit. Very comfortable grip. Amazing line control - because of the strong backbone of the rod - yet the last foot does flex - just enough.